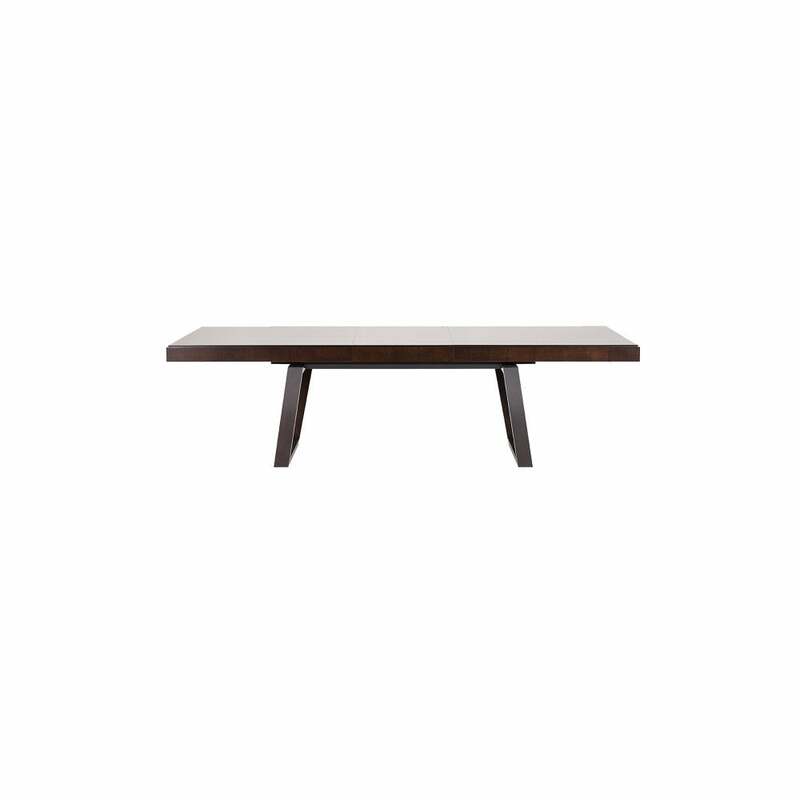 The Boston Dining Table is a strong, bold design. The substantial, perfectly smooth, warm cherry veneered table top sits soundly on it's beautifully crafted solid beech base frame. This angular base has protective metal edging in a high shine, glossy chrome, creating an eye-catching play with light and reflection. The Boston table is able to combine striking style with function by containing 1 internal leaf to allow quick and easy extension when more place settings are required, whether it be for lavish dinner parties or simple family meals. Will come disassembled for easy delivery. Priced for Sahara,Kohiba or Blazer woods, other options available.